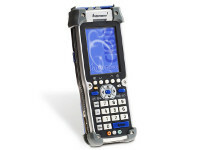 The Windows Mobile based CK61ex handheld computer, with integrated EX imaging technology, turns warehouse data capture obstacles into opportunities while also providing built-in readiness for tomorrow’s new warehouse management requirements. 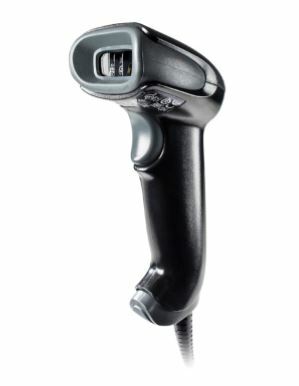 By integrating Intermec’s breakthrough auto-focus area imaging technology, the rugged CK61ex enables users to quickly scan 1D and 2D barcodes, in any orientation, from 6 inches to 50 feet away, opening up new efficiencies and application opportunities across the warehouse. In addition, users can capture images, signatures and documents and successfully cope with damaged, poorly printed or partially obscured codes in variable lighting conditions. 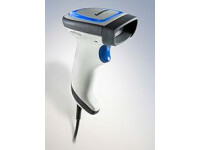 The CK61ex comes RFID-ready for easy connection to the Intermec IP30 RFID Reader Handle (March 2008), enabling the unprecedented combination of RFID and near-far area imaging for advanced data collection. This combination of features and capabilities cannot be matched by any long range product currently on the market. 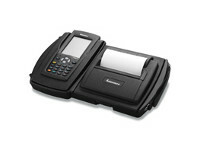 The CK61ex is available with either Microsoft Windows® CE 5.0 (April 2008) or Windows Mobile® 5.0 operating system. Microsoft Windows CE provides significant flexibility to those customers who wish to control the user experience; Windows Mobile offers a standard platform which can easily be applied across the enterprise. Onboard non-volatile flash memory preserves applications and databases even if the batteries become depleted. The 192 MB capacity enables storage of large enterprise databases and applications. The CK61ex case is sealed against water and dust to IP64 standards. With a magnesium top cover and tough rubber bumpers at each corner, it can withstand repeated 6’ drops. 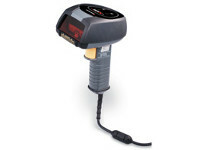 It is also available in a non-incendive option (UL Division 2, Class I/II/III) to meet the needs of hazardous environments. High-speed Ethernet, USB Host and Client, and RS232 serial connections are standard on every unit, as is Bluetooth® communication. Communications and charging dock: Single bay communications dock with USB/Ethernet or USB/modem capabilities and auxiliary battery charger; four-position Ethernet and charge-only multidocks. Serial adapters: Snap-on adapters for USB or RS232 peripherals; snap-on adapter for DEX/UCS connectivity. SmartSystems™ Support: Centralized remote support capability; Configures, updates and maintains single devices or entire populations; Real-time or batch, wired or wireless. Wavelink Avalanche™ Support: Intermec value-added utilities and SmartSystems integration.